Season por Season - Big Bad fã Art.. fã Art for every seasons Big Bad. Season 3 is my favourite picture!. 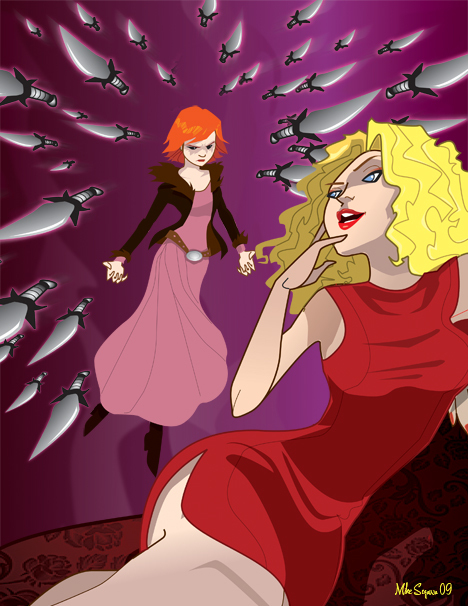 Wallpaper and background images in the buffy, a caça-vampiros club tagged: buffy the vampire slayer big bad season. This buffy, a caça-vampiros fan art contains anime, banda desenhada, manga, desenhos animados, mangá, and quadrinhos.